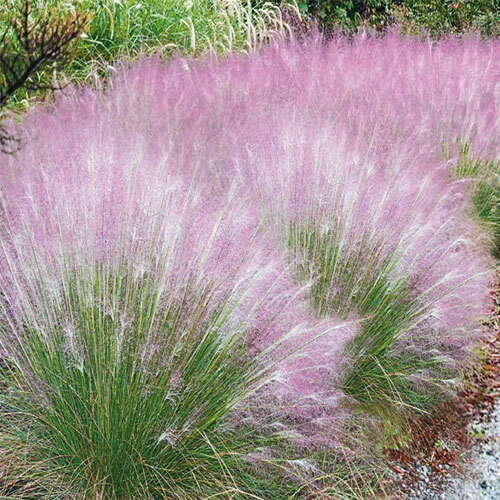 It's easy to see why home gardeners and landscapers adore Cotton Candy Grass (Muhlenbergia capillaris). 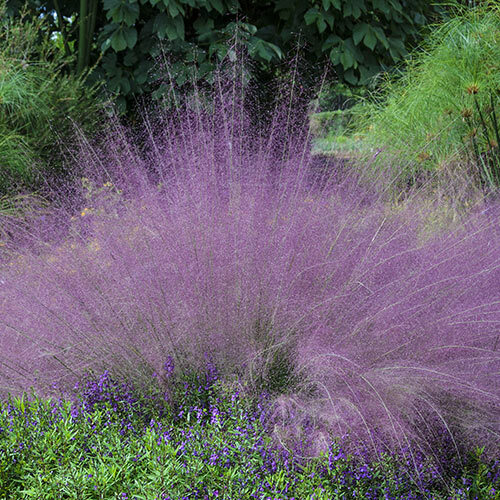 This gorgeous ornamental grass, also known as Muhly Grass or sweetgrass, creates a pink cloud in the border in late summer. 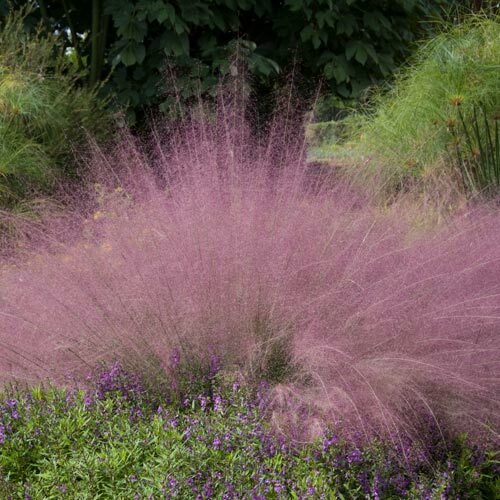 Cotton Candy Grass is easy to grow and has vibrant, pink airy flowers that add textural drama and movement to the garden. It looks spectacular when planted in groups in the garden or landscape. 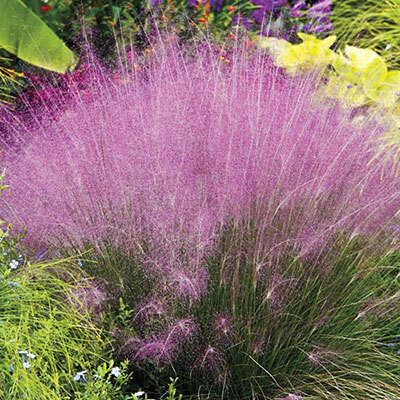 Tolerant of heat, humidity, drought and wet conditions, it's also a favorite for planting in rain gardens. Deer resistant. 2½" plug. 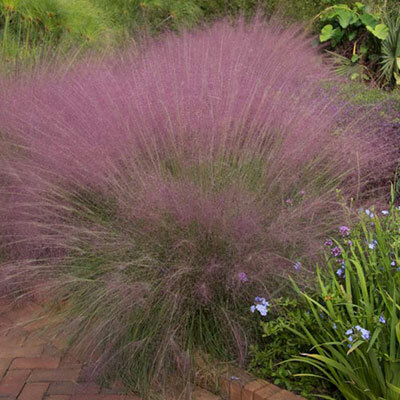 Tidy clumps, fine blue-green foliage. Top of plant should be even with soil level and 24-36" apart. Can handle drought and well drained garden soil. Cut back in late winter to early spring.